If you are an event professional seeking a replacement for bulky walkie-talkie then here is one. 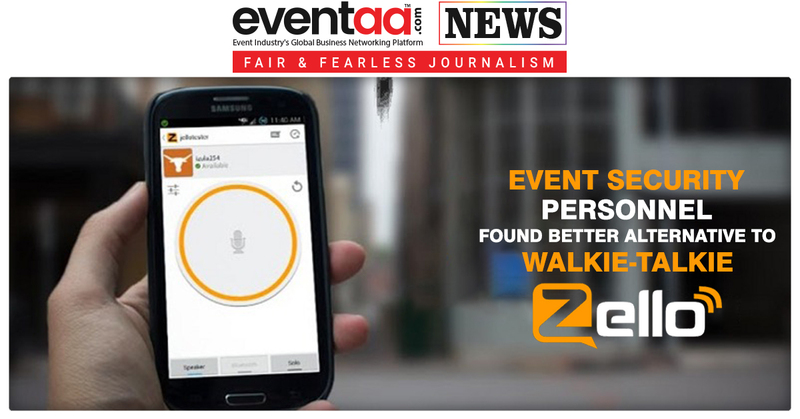 Zello is a push-to-talk app that allows event teams to communicate via smartphones and devices using WiFi or cell data. The voice almost reciprocates the walkie-talkie and allows completely private channels and group chat, thus making conversation secure. Unlike some other walkie-talkie apps on the market, Zello does not require everyone to be on the same WiFi network. The app provides features for alerts and Message queuing, emergency broadcasts, communications log, location tracking Replay something as many times as they need. The app is well suited for conferences, exhibitions, and festivals, particularly public and outdoor events. The advantage is that you can also amplify device voice by integrating additional speaker or headphone to it via Bluetooth.